Donald Leslie Johnson taught at Flinders University in Adelaide, South Australia, from 1972 until retirement in 1988. He has been an adjunct professor of architectural history at the University of South Australia for twenty years. Previously, he practiced architecture in Seattle, Philadelphia, and Tucson and taught theory and design at Arizona, Washington State, and Adelaide universities. 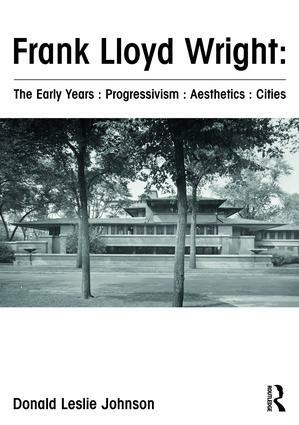 He has written extensively about the architecture of Frank Lloyd Wright, Walter Burley Griffin and Canberra, Australian architectural history, and American and Australian city planning history. He was in Lois I. Kahn's masters class of 1960–61 at the University of Pennsylvania. Johnson was a member of the American Institute of Architects and is an Honorary Fellow of the Australian Institute of Architects.